By Keith Cowing on September 30, 2011 12:16 PM. "The Office of Personnel Management and the National Aeronautics and Space Agency have completed the process of selection for the position of Director, Heliophyiscs Division, Science Mission Directorate, NASA Headquarters. The newly selected director is Dr. Barbara Giles. I am taking this opportunity to inform you of this action prior to more formal announcements by the Directorate and the Agency." By Keith Cowing on September 29, 2011 8:58 PM. "The museum does not own the land where it hopes to display the Enterprise, a parking lot across the busy West Side Highway owned by the New York State Department of Transportation. Nor does the museum have the zoning change that would be needed to build and operate a museum on land reserved for industrial manufacturing. "It's obvious New York was not ready as advertised," said Rep. Michael McCaul, R-Austin, whose district stretches to the northwestern suburbs of Houston." By Marc Boucher on September 29, 2011 1:33 PM. "Reusability is key to the dramatic cost savings that will enable advancements in human exploration of space. The Dragon spacecraft is fully reusable and SpaceX is working toward the goal of delivering the world's first fully reusable launch vehicle." By Keith Cowing on September 29, 2011 11:39 AM. "This Office of Inspector General (OIG) review found that NASA has poorly managed the development of these replacement radiation monitoring instruments. Specifically, total estimated ARI Project costs increased approximately 62 percent, from $16 million to $26 million; the Project has been de-scoped and will not include all planned elements; and delivery of the new instruments has been delayed by almost 3 years. In addition, until April 2010 NASA was developing an instrument that did not meet stated radiation monitoring requirements. We also found that the ISS Program has never monitored astronaut exposure to neutrons in accordance with Program requirements and had not adequately analyzed, planned, tracked, or controlled the resulting risk." By Keith Cowing on September 28, 2011 8:35 PM. "... advocates such as the American Astronomical Society have identified JWST as their highest priority (it was the top major initiative for U.S. astrophysics in the 2001 & 2010 NRC Astrophysics Decadal Surveys). That prioritization is among activities only within astrophysics, not planetary science, Earth science or heliophysics. Because astronomers have been so strongly supportive of JWST for the current and future budgets, it is only appropriate that they be responsible for the consequences of such a choice. The biggest concern of planetary scientists, therefore, is that our own current and planned planetary missions, and supporting research and data analysis funding, will be severely reduced over the next decade to pay for the JWST overruns (JWST is now scheduled for a 2018 launch with a total cost approaching $8.7 billion)." By Keith Cowing on September 28, 2011 8:00 PM. Keith's note: The AIAA Space 2011 Conference in Long Beach, CA is today, September 27 through Thursday, September 29. The plenary sessions are being streamed live at www.livestream.com/aiaa (the agenda is posted there as well). By Keith Cowing on September 28, 2011 7:16 PM. "NASA has selected a launch vehicle architecture that includes a large cryogenic (LOX/LH2) Core Stage, an Upper Stage when needed for higher performance missions, high thrust Boosters (initially, using those developed for the Ares I vehicle) for liftoff thrust, using either 3, 4, or 5 RS-25 engines on Core Stage, and using 1, 2, or 3 J-2X engines on Upper Stage. While the launch vehicle configuration will change based upon mission needs for lift performance, the basic design of the Stages will be the same for all missions, with the only change being how many engines will be mounted in the Main Propulsion System of the Core Stage (or Upper Stage) for a given mission. ... The Government does not intend to acquire a commercial item using FAR Part 12." "NASA/MSFC intends to negotiate only with Pratt & Whitney Rocketdyne (PWR) for the SLS Core Stage Engines. This decision is made pursuant to FAR 6.302-1, only one responsible source and no other supplies or services will satisfy agency requirements, which implements the authority for 10 U.S.C. 2304(c)(1). ... The Government does not intend to acquire a commercial item using FAR Part 12." "I have serious concerns with NASA's attempt to avoid holding a full and open competition to acquire the SLS. Instead, NASA is considering modifying and/or extending existing contracts for retired or cancelled programs resulting in one or more "de facto sole source awards." "In a press conference, William Gerstenmaier, associate administrator for NASA's Human Exploration and Operations said that the first stage will be designed from the onset to accept a variety or range of strap-on boosters. When asked when that procurement will begin, Gerstenmaier said that this "wIll begin almost immediately - competition begins as soon as we go do this [procurement] activity." Keith's note: Despite statements by HEOMD AA Bill Gerstenmaier there is little if any evidence that there is any true interest on NASA's part to begin competitive procurement on the SLS any time soon. By Keith Cowing on September 28, 2011 4:03 PM. "Today, Nancy Conrad, founder and chairman of the Conrad Foundation, officially launched the 2011-2012 Spirit of Innovation Challenge to encourage students to create technologies and products that solve global issues. For the past four years, the Innovation competition has helped transform the way science, technology, engineering and math (STEM) is being embraced by high school students." "Lockheed Martin believes the competitive success of our nation depends on an innovative and technically adept workforce that understands the value of collaborating to solve 21st century challenges," said Dr. Ray O. Johnson, Lockheed Martin senior vice president and chief technology officer"
By Keith Cowing on September 28, 2011 1:05 PM. "In the coming weeks, the House and Senate will sit down to negotiate final appropriations bills for fiscal year 2012, and the appropriate level of funding for JWST will be one of the most significant issues considered. For us to make a truly informed decision that takes into account both the value of JWST and the value of opportunities that may be precluded by the JWST replan, we must have the offset information. If such information is not provided by the time that conference negotiations begin, I will consider that to be an indication that JWST is no higher in priority than any other existing or planned NASA activity." By Keith Cowing on September 28, 2011 11:10 AM. "Today, Rep. Dana Rohrabacher (R-CA) continued his criticism of NASA's new design for deep space exploration by sending a letter to former NASA's Administrator Dr. Michael D. Griffin asking him to join Rohrabacher's call for NASA to release their recent analysis and conclusions regarding on-orbit fuel depots. Dr. Griffin spoke about on-orbit technology during his testimony before the House Science, Space and Technology Committee on September 22rd, 2011. "I'm certain you are aware that on-orbit fuel depots were included in NASA's initial Human Exploration Framework...as presented on May 25, 2010," writes Rohrabacher. "Somewhere in the intervening time, depots were dropped from the plan. It is important for Congress and the American people to understand how and why that decision was made." By Keith Cowing on September 28, 2011 11:08 AM. "NASA's decommissioned Upper Atmosphere Research Satellite fell back to Earth at 12 a.m. EDT (0400 GMT), as Friday, Sept. 23, turned to Saturday, Sept. 24 on the United States east coast. The Joint Space Operations Center at Vandenberg Air Force Base in California has determined the satellite entered the atmosphere over the Pacific Ocean at 14.1 degrees south latitude and 189.8 degrees east longitude (170.2 west longitude). This location is over a broad, remote ocean area in the Southern Hemisphere, far from any major land mass. The debris field is located between 300 miles and 800 miles downrange, or generally northeast of the re-entry point. NASA is not aware of any possible debris sightings from this geographic area." By Keith Cowing on September 28, 2011 11:02 AM. 'On its ROSAT website, DLR estimates that "up to 30 individual debris items with a total mass of up to 1.6 tonnes might reach the surface of the Earth. The X-ray optical system, with its mirrors and a mechanical support structure made of carbon-fibre reinforced composite - or at least a part of it - could be the heaviest single component to reach the ground."" By Marc Boucher on September 27, 2011 3:58 PM. "Ed Weiler, who has worked almost 33 years as a leader in NASA's science exploration programs, will retire from the agency effective Sept. 30. Weiler most recently served as the associate administrator of NASA's Science Mission Directorate at NASA Headquarters in Washington, directing a variety of research and science programs in Earth science, heliophysics, planetary science and astrophysics. Chuck Gay, the directorate's deputy associate administrator, will become the acting associate administrator until a permanent replacement is announced." By Keith Cowing on September 27, 2011 12:14 PM. "I have serious concerns with NASA's attempt to avoid holding a full and open competition to acquire the SLS. Instead, NASA is considering modifying and/or extending existing contracts for retired or cancelled programs resulting in one or more "de facto sole source awards." Some of these contracts were originally awarded on a sole source basis. I strongly believe that such a de facto sole source award would be a violation of the 1984 Competition in Contracting Act (CICA). GAO has stated: "Under the Competition in Contracting Act, 41 U.S.C. S 253(c)(1), a sole source award may be made only when there is a single responsible source that can satisfy the government's needs." I am aware of multiple potential contractors who have expressed intent to compete for any available SLS contracts, and who should have every opportunity to do so." Bolden: SLS WiIl be "Disciplined"
By Keith Cowing on September 27, 2011 11:42 AM. "What's going to be different? It's going be disciplined, it's going to be the way we do business and things like using students to help us develop modules, which we did not do before ... really integrating students and academia into this. That's building the 'seed coin' for the future generation that's going to take my place." Keith's note: The comments section on this is rather interesting. Does NASA Have A Contingency Plan For Crashing Satellites? By Keith Cowing on September 26, 2011 5:53 PM. "As was the case with a Shuttle accident, NASA (in cooperation with Russia) has developed plans for what to do in case of a contingency Soyuz landing in North America. Although the entire, final plan has not been made public, we can provide, for the first time, portions of the plan under development a year or so ago." Keith's note: Although NASA has yet to get any more detailed impact data from the DoD, odds are that most if not all of the UARS that made it to the surface of Earth landed in the Pacific Ocean. But it could have also hit land. While the statistics are on the side of no one getting hurt (or close to being hurt), the risk is not Zero. Skylab's impact taught us that. What would have happened if large pieces of UARS smashed into a populated area? NASA would have had little warning perhaps a few hours at most. Does NASA have a quick reaction team in place to deal with events such as this? The answer no - not for crashing satellites. There are several partial exceptions: the contingency plan in place (and activated) during the loss of Columbia and also, as is seen in this article I wrote in 2003, in case a Soyuz lands in North America. While these documents were in draft form a decade ago, they do show that someone was thinking of how to mobilize a lot of people fast and what they needed to be thinking about. But clearly these lessons learned have not been shared across the agency. Oh yes, the 2,400 kg ROSAT satellite, launched by the U.S. for Germany in 1990 is going to be making an uncontrolled reentry in the next month or two. Pieces are likely to survive reentry and reach the Earth's surface. ROSAT's orbital inclination is 53 degrees. UARS orbited at 57 degrees. So, a similar swath of the Earth's surface will be exposed to the non-zero possibility of being hit. According to "Agreement on the Rescue of Astronauts, the Return of Astronauts and the Return of Objects Launched into Outer Space" The U.S. as the "launching authority" bears at lest some responsibility for any damage ROSAT's reentry may cause. Maybe its time that NASA gets its act together and comes up with a plan. Space junk re-enters every day. Sooner or later someone is going to have a bad day. By Keith Cowing on September 26, 2011 4:11 PM. "NASA's dead 6-ton satellite plunged to Earth early Saturday, but more than eight hours later, U.S. space officials didn't know just where it hit." "I would have expected the DSP missile early warning satellites to have detected infrared radiation from the entry - they do keep a close watch on the eastern Pacific in case of a submarine-launched missile attack on the US. It is a bit surprising to me that there's apparently no information from that source - or at least none that's been admitted." Keith's note: This is just a little too odd. Something this large, with a demise so widely anticipated well in advance, the subject of international coordination among space agencies - and no one knows where it hit? NASA declined to have someone from the DoD (Joint Space Operations Center - JSpOC) on its weekend teleconference - yet NASA's expert, Nick Johnson, repeatedly claimed that the effort to track the satellite's reentry was a "success". When asked (by me) about the used of the term "success" in the media telecon, NASA PAO's Beth Dickey blocked Johnson from answering. I find it rather unlikely that DoD/Intelligence "assets" in orbit and on the ground were unable to track and pinpoint the demise of UARS. Videos taken from locations that were along the UARS' final ground track have appeared on YouTube but NASA says nothing about them. 36 60 hours after the reentry of UARS and neither NASA or JSpOC have still said anything more definitive about its impact site or the veracity of videos and other sightings. The FAA issued a NOTAM for the UARS re-entry that asks pilots to report anything they might see with regard to UARS. The FAA has not responded as to whether any reports were received. There is more to this story than NASA is willing/able to discuss. By Keith Cowing on September 26, 2011 11:35 AM. "The Federal Aviation Administration (FAA) Office of Commercial Space Transportation (AST) proposes to issue an experimental permit to Space Exploration Technologies Corporation (SpaceX) to conduct suborbital launches and landings of the Grasshopper reusable launch vehicle (RLV) at the McGregor, Texas test site. ... The Grasshopper RLV consists of a Falcon 9 Stage 1 tank, a Merlin-1D engine, four steel landing legs, and a steel support structure. Carbon overwrapped pressure vessels (COPVs), which are filled with either nitrogen or helium, are attached to the support structure. The Merlin- 1D engine has a maximum thrust of 122,000 pounds. The overall height of the Grasshopper RLV is 106 feet, and the tank height is 85 feet." Ron Garan's Earth Gazing - Who Is Actually In Charge of NASA Public Affairs? By Keith Cowing on September 26, 2011 12:00 AM. @ASTRO_RON: "How I spent my last day in space. That's me in the cupola of the International Space Station off the coast of Australia taking my last of over 25,000 pics that I still want to share w/ everyone." Keith's note: I am confused. Astronaut Ron Garan flies to the International Space Station and sends a non-stop stream of personal - and cool - photos back to Earth via Twitter and Twitpic. Well, these photos usually do not always end up on NASA's Human Spaceflight website but some of them appear on his personal (?) website at fragileoasis.org (the domain is registered to some anonymous individual in Bellveue, Washington) - a website that never seems to use the word "NASA" - unless you scroll to the small text at the bottom of the page with a micro NASA logo. Guess what - that link is to http://nasa.gov . Try it. It does not work. It should say http://www.nasa.gov which does work. Looks like no one bothered (or cared) to check. Are NASA funds used to run this website? If so, then why the lack of coordination with NASA.gov?. If not, then why isn't NASA running such a high profile site that highlights such a prominent activity that its own official website seems to not want to highlight? Some (but not all) of these photos and commentary by Ron Garan also appear at NASA's blog site. Ron Garan is a NASA civil servant who was on official duty at taxpayer expense on the ISS. We paid his airfare. We should all be seeing everything he sends back to Earth, without having to hop around various websites, right? NASA should endeavour to collect all that he sends back to Earth - in one place - so as to maximize this dissemination of information to the public. But that is not the case. These "NASA" sites do not even link to each other. Who is in charge here? NASA PAO?, HEOMD? Ron Garan? Until NASA figures out how to coordinate its "messages" it will be hobbled by stove piping and hobby shop approaches to education and public outreach. The scattered nature of this otherwise inspiring series of photos and operations exposes just how uncoordinated NASA is these days when it comes to telling the taxpaying public what it is doing and why. And then they have the nerve to complain when the public does not seem to understand what they are doing. Cool stuff Ron. You done good. Some of your stuff is jaw dropping. As a result, perhaps the rest of the agency can learn how to work together as one cohesive and cooperating entity in the future? This is an awesome image worth spreading across our planet. Is it featured at NASA.gov? Keith's note: From what I have been able to piece together HEOMD's Beth Beck (the creator of the failed NASA BuzzRoom) is behind this site. Elyse David is the "Executive Producer and Founding Crewmemeber" of Fragile Oasis according to her Twitter page. Beth Beck does more or less whatever she wants to do on this website with near zero coordination with NASA PAO. Despite multiple requests in the past for metrics and a plan for education and public outreach Beth has been unwilling/unable to provide me with anything. Yes, Ron Garan's photos and commentary have been amazing - but when they are not coordinated with NASA.gov's much larger distribution system, they suffer from less than full visibility they might otherwise attain. The net result is that NASA's limited funding for such things is not being spent in the best way possible. Once again one part of NASA simply does not care to coordinate with the other. By Keith Cowing on September 24, 2011 12:00 PM. "NASA's decommissioned Upper Atmosphere Research Satellite fell back to Earth between 11:23 p.m. EDT Friday, Sept. 23 and 1:09 a.m. EDT Sept. 24. The Joint Space Operations Center at Vandenberg Air Force Base in California said the satellite entered the atmosphere over the North Pacific Ocean, off the west coast of the United States. The precise re-entry time and location of any debris impacts are still being determined. NASA is not aware of any reports of injury or property damage. This is your source for official information on the re-entry of UARS. All information posted here has been verified with a government agency or law enforcement. NASA will conduct a media telecon at 2 p.m. ET to discuss the re-entry. The telecon will be streamed live at www.nasa.gov/newsaudio." While Johnson made constant references to the "success" of his international effort to track UARS, in all honesty, they still do not know where or when it landed. Various media outlets have shown the animations of orbital debris - produced by NASA - a problem that is only going to get worse in the future. Alas, attempts have been made to cut Johnson's budget in the past. Based on his own comments, it seems that NASA had to rely on amateurs and volunteers to look for the satellite and indeed, the only ground-based video taken of UARS in orbit was taken by a gifted amateur in Europe. I was wondering why Johnson (i.e. NASA) does not seek to enlist more participation from the public in future activities since its resources seem to be stretched. They might want to do this for no other reason than this would help further a better understanding among the public of what these re-entries (which occur at a rate of one per day) entail and maybe cut back on the crazy "it landed in my back yard and hit my cat" reports that have been swirling around. But Beth Dickey refused to allow Johnson to answer stating that the telecon was about UARS. Well, DUH Beth, did you even listen to my question? The audio from this teleconference will be posted around 3:45 pm EDT. Lets see if they edit out the second question I asked. By Keith Cowing on September 23, 2011 2:58 PM. "The National Polar Orbiting Satellite System (NPOESS) was to be the United States' next-generation satellite system to monitor the Earth's weather, atmosphere, oceans, land and near-space environment, replacing the Department of Defense's (DOD's) and NOAA's polar orbiting satellites. However, the polar orbiting satellite acquisition program was neglected and mismanaged." "The ability to do timely and accurate weather forecasting is not at question here, and should not be compromised," said E&E Chairman Andy Harris (R-MD). "However, given the number of problems this program has experienced, the time has come to talk about what is the best way for NOAA to obtain the necessary data to do these forecasts. And by best way, I mean the most efficient and cost effective way." By Keith Cowing on September 22, 2011 11:05 PM. "The SLS vehicle procurements will be structured to meet the Agency's requirement for an affordable and evolvable vehicle within a schedule that supports various mission requirements. Procurements will include utilization of existing assets to expedite development, as well as further development of technologies and future competitions for advanced systems and key technology areas specific to SLS evolved vehicle needs. Detailed synopses will be issued in the near future for the individual procurements as required by regulation." "NASA has released the acquisition overview for the Space Launch System (SLS). SLS is an entirely new advanced, heavy-lift launch vehicle that will take the agency's astronauts farther into space than ever before, create high-quality jobs here at home and provide the cornerstone for America's future human space exploration efforts." By Keith Cowing on September 22, 2011 6:42 PM. By Keith Cowing on September 22, 2011 6:19 PM. "- Questions directed to Dr. Griffin: When you were Administrator at NASA did you or your deputies ever ignore one of the authorization bills? - Did you ever get subpoenaed by a House or Senate committee for outright ignoring their requests for information? - Were you or your deputies ever accused by a Senator in your own party of sabotaging a NASA project just because you didn't agree with Congress? - Did you ever decide to ignore the role or will of Congress when they asked for your plans to implement the next step in President Bush's vision for NASA? - Can you think of any reason to slow roll a project that has been authorized and demanded by Congress in Federal law? - Can you think of any reason why it would be acceptable for a NASA Administrator or his or her deputy to ignore Congress?" Keith's note: It would seem that Rep. Adams and her staff see her as some sort of crusader on this issue. They have gleefully posted her 5 minutes of questions on YouTube. Alas, she doesn't seem to be willing or able to directly accuse the current NASA Administrator, his staff - or the White House - of sabotage, ignoring Congress, etc. Instead, she used this odd line of questioning - one that can only elicit an answer of "No" from Griffin (or anyone else). The implication (apparently) being that if he didn't do these things then perhaps someone else (not in the room) may have. Mike Griffin seemed to be caught off guard by this line of questioning and answered curtly "no" each time - as if he was being interrogated by some snarky TV lawyer. I guess Rep. Adams was hoping that Griffin would use the opportunity to dump on Bolden and the White House - but he did not. Indeed, Griffin went on to note that the NASA Administrator serves the Executive branch and that the Executive branch directs the agency's direction and for a NASA Administrator not to do what he was directed to do would be "mutinous". In other words, Bolden is doing what his boss wants him to do. In the future, it might be more efficient for Rep. Adams to just fire her accusations directly at the Obama Administration and not try to do the indirect insinuation by proxy TV lawyer thing and try to get a former NASA Administrator to say the things she is reluctant to say herself. By Keith Cowing on September 22, 2011 2:00 PM. 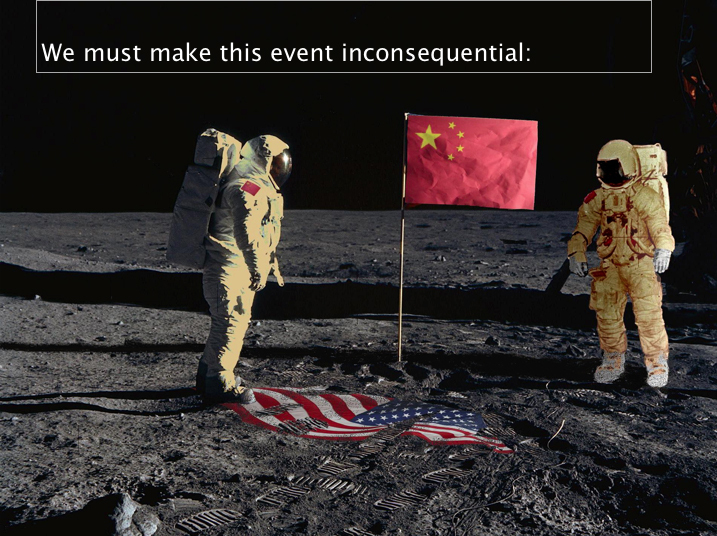 Keith's note: Bolden's comments are in stark contrast to the picture that astronaut Andy Thomas included in an official NASA presentation recently that showed Chinese astronauts trampling on a U.S. flag on the lunar surface. By Keith Cowing on September 22, 2011 1:51 PM. "Today the House Committee on Science, Space, and Technology held a hearing entitled, "NASA Human Spaceflight Past, Present, and Future: Where Do We Go From Here?" The purpose of the hearing was to assess NASA's human space exploration goals, plans and capabilities, and examine related issues affecting the Nation's leadership in space and the state of the aerospace industrial base." "The witnesses agreed that a robust human spaceflight effort is vital to the strength of our nation now and in the future. Human spaceflight serves a number of important purposes, including building a strong economy, supporting a high-skilled workforce, ensuring our national security and inspiring the nation. A national commitment to this effort, led by the President and Congress, is essential, particularly in an era of budget austerity. The witnesses further agreed that NASA's recent announcement that it had selected a design for the Space Launch System (SLS) is an important step forward." By Keith Cowing on September 22, 2011 12:31 PM. "NASA is releasing the initial version of a Global Exploration Roadmap (GER) developed by the International Space Exploration Coordination Group. This roadmap is the culmination of work by 12 space agencies, including NASA, during the past year to advance coordinated space exploration. The GER begins with the International Space Station and expands human presence throughout the solar system, leading ultimately to crewed missions to explore the surface of Mars." By Keith Cowing on September 22, 2011 12:15 PM. - Dr. Michael D. Griffin, Eminent Scholar and Professor, Mechanical and Aerospace Engineering, University of Alabama in Huntsville"
Keith's note: Once again Rep. Hall has stacked the deck without even the slightest attempt at being objective and allowing opinions that differ from his own. Oh well, at least we know what Griffin, Armstrong, and Cernan will say since they keep saying the same thing over and over again - all pre-coordinated with each other. And Rep. Hall will ask them the same questions he has asked them a dozen times before. This is nothing more than pre-staged political theater. Keith's update: Maria Zuber from MIT has been added to the panel. Odds are she will be the only one not drinking Mike Griffin's Koolaid. "Neither the administration nor NASA provided Congress with any plans or programs to accomplish those goals. In fact, the funding available for human space exploration in the administration's FY2011 budget request was essentially the same as the FY2010 budget that was deemed "not viable" by the Augustine committee just months earlier." By Keith Cowing on September 22, 2011 12:14 AM. "We strongly believe that NASA and the nation both benefit greatly from investing in commercial spaceflight programs that will allow astronauts to fly on commercial vehicles; and we urge you to fully fund and support those programs. They offer a win-win situation: we ensure that the nation has a way--or, better yet, several independent ways--to get its astronauts into space following the impending retirement of the Space Shuttle, while the commercial sector will benefit from the support of NASA to grow faster and to hire more of us future graduates." By Keith Cowing on September 22, 2011 12:07 AM. Think about this: One would think that with this announcement - one that comes on the heels of the Tatooine discovery last week - that the Kepler team would be working overtime on a way to throw more of its data out - sooner - such that they can harness the crowd-sourced power of interested citizens motivated to make a contribution to the discovery of worlds circling other stars. Not only does this help in times of limited budgets, it allows the citizenry a chance to truly participate in their space agency's exploration of the universe - and therein transform that formerly distant, lofty activity into a personal one. When things get personal, people tend to want to stand up and fight for those things. By Keith Cowing on September 21, 2011 10:00 PM. "Initially estimated to cost approximately $1 billion in 1996, recent calculations for the telescope peg its price tag at nearly $8.7 billion. An independent panel last year placed the blame for these cost increases on delays and mismanagement by NASA officials. These problems have even created a congressional scuffle, with the House of Representatives voting to zero out the telescope's budget while the Senate produced a bill to fully fund it. The two are currently trying to reconcile the discrepancy." "We just really don't know exactly what's going to happen," said planetary scientist Melissa McGrath, chairwoman of the American Astronomical Society's Division for Planetary Sciences. "I think people are really fearful right now because of the bigger context in which this is happening. There's a very budget-conscious feeling right now. There's a lot of pressure on the budget external to NASA and JWST, and that just exacerbates the problem. It's just sort of a worst-case scenario." Keith's note: At one point today the panelists stated that "no one is talking about canceling Webb". Obviously they are unaware of what House Appropriators have been saying. Also, planetary scientist Jon Lunine stated that he did not think that social media was the place to be having discussions about space policy matters. Alas, Lunine was responding to a question I posted via Twitter and did so on a webinar heavily promoted via social media by its organizers. Rick Howard from NASA could not say where the cost overruns (final cost now pegged at $8.7 billion) would be taken from at NASA other than that half would come from SMD and the rest would come from, well, he did not know exactly where other than it would come from within NASA. And of course no one (including AURA, STScI, and AAS) really wanted to talk about differing opinions withing the space and planetary science community about Webb other than to suggest that internal squabbling was to be discouraged. Instead they repeatedly offered up happy talk about how the world loves Webb. The whole thing is online here. Watch for yourself. By Keith Cowing on September 21, 2011 1:46 PM. 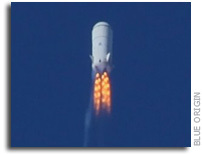 "The most pressing issue for the Florida workforce is the sense of betrayal that their tax dollars might be used in establishing a competing orbital human spaceflight launch capability in another state when they have so well and ably done the job here in Florida," wrote Lynda Weatherman, president and CEO of the Economic Development Commission of Florida's Space Coast. Added Frank DiBello, president of Space Florida, suggested the work could be "duplicative" and raised the possibility of holding a public meeting down in Florida." Keith's note: Why shouldn't every state in the union have a chance to participate in human space flight? People who live in other states pay tax dollars too - and they have watched their tax dollars go to Florida for half a century for human space flight activities. By Keith Cowing on September 21, 2011 12:54 PM. "As of Sept. 21, 2011, the orbit of UARS was 120 mi by 130 mi (195 km by 210 km). Re-entry is expected Sept. 23, United States time. The time reference does not mean that the satellite is expected to re-enter over the United States. It is simply a time reference. Although it is still too early to predict the time and location of re-entry, predictions of the time period are becoming more refined." By Keith Cowing on September 20, 2011 11:22 PM. Think about this: "There are proposed missions wherein spacecraft would be sent to Titan and place a vehicle on hydrocarbon lakes which they would then explore in a fashion similar to Wave Glider. Other concepts would send cryobots to tunnel through the icy crust of Europa, Enceladus, and other worlds and then explore the oceans that may exist beneath the surface. It is not at all surprising that former astronaut Ed Lu has joined Liquid Robotics to work on this project. NASA knows a lot about rovers and landers - but not a lot about sailing or diving vessels. Imagine what NASA could learn about operating vehicles that swim on alien worlds if they were to participate in this project." Avatar Theme Parks: An Opportunity for NASA? Think about this: "Perhaps NASA could become a partner in this Avatar theme park effort effort and provide astrobiology advisors to this new venture so as to allow visitors to understand what it would take to find Pandora (a habitable moon circling a gas giant planet that circles another star), travel to it, and then explore the alien ecosystem that thrives on such a world. By coincidence the DARPA 100 Year Starship Conference is being held in Orlando in 2 weeks. Alas, NASA PAO is downplaying NASA's participation in this conference." Think about this: "Several Space Shuttle Middeck experiments used gene chips to see which genes were turned on and off during exposure to microgravity. These experiments are rather straightforward to do and can be done on the ISS. Why not take this data and put it online in a fashion similar Foldit and allow crowd sourced assistance to look into what these gene changes mean and how tissues and organisms respond? FYI DARPA, NSF, and Microsoft supported this Foldit research project." Think about this: "There are a myriad of applications on Earth for technologies such as this. Clean, safe, drinking water is an issue for over a billion people. Imagine a cheap version of this technology applied to water quality issues in developing and third world nations." By Keith Cowing on September 20, 2011 3:30 PM. "NASA is announcing the International Space Apps Competition to support the Open Government Partnership (OGP), which President Barack Obama announced Tuesday. The challenge will culminate with a two-day event next year that will provide an opportunity for government to use the expertise and entrepreneurial spirit of citizen explorers to help address global challenges. During the event, NASA representatives and officials from international space agencies will gather with scientists and citizens to use publicly-released scientific data to create solutions for issues, such as weather impact on the global economy and depletion of ocean resources." By Keith Cowing on September 20, 2011 2:40 PM. "Sen. Kay Baily Hutchison said in a press conference a few hours earlier that the exisiting Constellation and shuttle contracts will be changed within a week or so. When asked about this Gerstenmaier said that will not happen that fast. He said that NASA's intent is to have an Industry day for the private sector around 29 September. A formal synopisis will be issued at the end of this week announcing that event." Keith's note: Its is Monday and despite Gerstenmaier's statement, nothing about an industry day or any procurement changes for SLS has been posted on NASA's procurement site or in the Federal Register. "With NASA's announcement of the new Deep Space Exploration System, attendance at this event will afford industry an opportunity to learn more about the new Heavy Lift Rocket that will one day take humans far beyond Earth. This will be America's most powerful rocket to be developed since the Satern V rockets that carried Apollo astronauts to the moon." Keith's 20 Sep update: Where is the rest of the stuff (the procurement/contract changes) that NASA said it was going to release? Sen. Hutchison said this would only take a week. Also, why isn't NASA webcasting this event? Also note that the MSFC folks have forgotten how to spell the name of the Moon rocket they developed back in the day - i.e. "Satern V". Also what is the "Deep Space Exploration System"? Is this a new program? NASA folks often capitalize words they want to emphasize - even though this comes across as a formal name. By Keith Cowing on September 20, 2011 2:27 PM. "A radical new way of making structures visible at the nano level has been developed at Johannes Gutenberg University Mainz (JGU). This new method makes it possible to determine with precision the arrangement of atoms and molecules in a diverse range of materials from cement to pharmaceuticals. The procedure, which is still in its infancy, comes from the field of electron microscopy and can resolve the structure of the tiniest crystals. ... "There is a large number of natural and synthetic solid materials for which our method may be used - materials which are not available or cannot be manufactured in a suitable crystal size." ... In comparison with conventional electron microscopy characterizations, electron diffraction tomography is considerably faster, more accurate, and more complete. Whereas before, structures were researched for two years, using ADT a result can be obtained within just one day." "With the research results presented in these two papers, it would seem that structural information for biological molecules can now be obtained from vanishingly small biological samples - so called "nanocrystals" using a hard X-ray laser - on Earth - no space station required. ... If only NASA could find a way to get things from idea - to hardware - to orbit - and back faster and cheaper, the ISS might have played more of a role in this field of protein crystallography. Keith's note: Growing perfect crystals in space (on the Space Shuttle and Space Station) has been one of NASA's favorite promotional items in its mantra of promoting the use of the ISS as a "world class laboratory". The need for large crystals grown at great expense in space is quickly vanishing due to advances made on Earth. As mentioned in the original post from February 2011, NASA dragged its feet on this and missed the bus. Yet if you go to any of the agency's ISS websites - or read the promotional materials about research opportunities - not a word is offered about new and cheaper ground-based alternatives to growing large crystals in space. That's because the agency is incapable of staying current on the very science it is trying to promote - or being intellectually honest with people as they continue to use outdated reasons to hype the ISS. By Keith Cowing on September 20, 2011 2:13 AM. Think about this: "NASA's original space colony studies were (creatively) funded in the 1970s. Forty years later, what can advances in technology in the intervening four decades - and changes in collective strategic and cultural thinking - bring to this idea that just won't go away - one that could lead to humans becoming a species capable of existence independent of living on a planetary surface. You now, spacefaring, and all that. Thoughts?" Think about this: "Imagine a similar network on the Moon or Mars - or a world with subsurface oceans such as Enceladus, Europa, or maybe Ceres - a network that uses in situ resources (Silicon, etc.) to manufacture the fiber optic cable. Imagine if NASA took data coming in from all of its missions, skipped the bad habit of compartmentalization, and put it all online - in one place - for all to see - and use." Think about this: "Astronomers are teaming up with schools to use robotic telescopes over the internet to scan the night sky and find the spacecraft. The telescopes, part of the Faulkes Telescope Project run by Glamorgan University, are in Hawaii and Australia meaning schools can look with them during normal lesson times in the UK." By Keith Cowing on September 19, 2011 6:52 PM. "NASA unveiled Monday an outline of its acquisition strategy to procure transportation services from private industry to carry U.S. astronauts to low Earth orbit and the International Space Station. The agency also announced the addition of optional milestones for the Commercial Crew Development Round 2 (CCDev2) initiative." "A Requirements Workshop, a Pre-Solicitation Conference and One-on-Ones are scheduled for October 4, 5 and 6 at Kennedy Space Center, FL. The Requirements Workshop will discuss key features and changes since the May 2011 Requirements Workshop for each of the 1100 series documents. Additional information regarding times, location and registration information will be posted in the near future." By Keith Cowing on September 19, 2011 6:04 AM. "With virtually no advance notice, the National Air and Space Museum's Udvar Hazy Center put a KH-9 "Hexagon" spy satellite on public display today. The display is up for one day only. Word of this display only leaked out late on Friday. No media advisories were issued (or they did not send me one). I could not get NASM officials at the exhibit to comment on the short notice or why the satellite was there. But all you had to do was go inside and see that a large party was being set up for the 50th anniversary of the National Reconnaissance Office. Reception tables and chairs were being set up under the SR-71 and Space Shuttle Enterprise. This is a little odd for a long-time Washingtonian such as myself given that the name of this organization was secret until 1992. Once secret, they now throw lavish parties." By Keith Cowing on September 17, 2011 4:56 PM. Keith's note: Contrary to what some websites are reporting (including this one) NASA PAO says that the white/black coloration of the SLS stages that evokes memories of the Saturn V is there for the same reason: to aid in tracking during ascent. There will be no spray-on foam on the first (or second stage ) as was the case with the Space Shuttle and Ares V - hence no orange on the SLS. Keith's update: Well despite the official PAO response, I am now told by several people at NASA with the utmost reliability and knowledge on this issue that the depiction of the SLS in Saturn V-esque paint scheme was done at the discretion of the graphic artist to evoke memories of the Saturn V. My understanding is that they will paint it - but what it will look like no one really knows. I guess the only way to get a straight answer on this is for someone to ask Bill Gerstenmeier - on the record. By Keith Cowing on September 17, 2011 3:46 PM. "On 17 September 1976, NASA's space shuttle Enterprise rolled out of the Palmdale manufacturing facilities and was greeted by NASA officials and cast members from the 'Star Trek' television series. Today, Enterprise is on display at the Smithsonian." By Keith Cowing on September 16, 2011 7:10 PM. "NASA today told industry partners it would abandon the use of Space Act Agreements in the next phase of the program developing commercial crew taxis, despite many companies' preference for them. "We've made our decision and we recognize that not everyone will agree with it, but we're at the point where we had to make one and move forward," Brent Jett, deputy director of the Commercial Crew Program office, said during a meeting at Kennedy Space Center." Keith's note: I love it when people with no apparent commercial experience in the real world make decisions like this regarding commercial partnerships. And then they wonder why companies are increasingly wary of entering into new ways of doing "business" with NASA when NASA is constantly changing the rules. You can download slides from the NASA Commercial Crew Program Forum presentations here. There will be a Commercial Crew Transportation Technical Requirements Workshop on 4 October 2011 and an Industry Day on 5 October. Location TBA. UARS Headed For Earth's Surface On/around 23 Sep.
By Keith Cowing on September 16, 2011 6:59 PM. "A nearly 6-ton satellite is heading toward Earth and could crash into the planet as early as Sept. 23, NASA officials said." "NASA has been watching the 6-ton satellite closely. On Friday officials moved up their prediction for its arrival to Sept. 23, give or take a day. Scientists have calculated that the satellite, named the Upper Atmosphere Research Satellite, will break into 26 pieces as it gets closer to Earth. The agency will offer the public more detailed information early next week." "EVA Project Office personnel supported a concept review for the possible Space Shuttle retrieval of the UARS on May 3, 2001. At this point, several different options are still under consideration. The mission would require at least one scheduled EVA to secure various deployable components on the spacecraft. 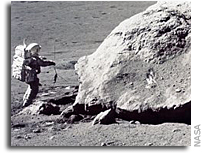 UARS was originally designed to be compatible with EVA operations, so most of the tasks appear to be feasible. An EVA splinter meeting is scheduled for May 10, 2001, to further discuss the EVA requirements for this proposed mission." By Keith Cowing on September 16, 2011 5:38 PM. By Keith Cowing on September 16, 2011 12:52 PM. "... the John D. and Catherine T. MacArthur Foundation, HASTAC and Mozilla today announced a $2 million Digital Media and Learning Competition for leading organizations, learning and assessment specialists, designers and technologists to create and test badges and badge systems. The competition will explore ways digital badges can be used to help people learn; demonstrate their skills and knowledge; unlock job, educational and civic opportunities; and open new pipelines to talent. U.S. Secretary of Education Arne Duncan, NASA Administrator Charles Bolden and high-level business, technology, civic engagement, philanthropic and other leaders participated in the announcement at the Hirshhorn Museum this morning." Keith's note: There was yet another stealth Bolden appearance yesterday. They just beam him in and then out of these events. NASA PAO made no advance notice, there is nothing posted on NASA.gov - or on NASA's education webpage. Nothing as to what Charlie Bolden said either. Charlie, why do even bother attending these events if you do not let anyone know you were there - or what your agency will be doing inconnection with what was being announced? By Keith Cowing on September 16, 2011 12:32 AM. "NASA's Ron Garan, Expedition 28 commander Andrey Borisenko and flight engineer Alexander Samokutyaev, both of the Russian Federal Space Agency, landed their Soyuz spacecraft in Kazakhstan at midnight EDT (10 a.m. in Kazakhstan). The trio, which arrived at the station on April 6, had been scheduled to land on Sept. 8, but that was postponed because of the Aug. 24 loss of the Progress 44 cargo ship." By Keith Cowing on September 15, 2011 9:51 PM. "The Jackson School community mourns the loss of Bill Muehlberger and extend their condolences to his family. He died of natural causes on Wednesday, September 14. An emeritus professor in geology, he taught at the University of Texas at Austin for nearly 40 years before officially retiring in 1992. He also taught geology to multiple generations of NASA astronauts beginning with Apollo." By Keith Cowing on September 15, 2011 5:01 PM. "NASA's Commercial Crew Development Program is the most fiscally responsible means to rapidly advance human spaceflight. It has protected taxpayer dollars with fixed-price, pay-for-performance contracts. It fosters competition that forces companies to compete on reliability, capability and cost. And it leverages private investment - making taxpayer dollars go further. "SpaceX applauds Chairwoman Mikulski, Ranking Member Hutchison and the Members of the Subcommittee for recognizing the value of the program. With the support of Congress, American companies will soon be able to end the flow of tax dollars to Russia and instead invest in high-tech American jobs." By Keith Cowing on September 15, 2011 3:10 PM. "NASA may not have spent its own money to develop the million dollar space pen, but the space agency did change your life in countless other ways. Over the years, NASA's technology has led to countless innovative products that you use every day. Some you'd expect, and some you... definitely wouldn't. With NASA's funding under the gun, it's a great time to remember all of the ways the agency's innovations have enriched us -- including some surprising examples. Here are 10 off-the-wall products that resulted from NASA missions." By Keith Cowing on September 14, 2011 4:50 PM. Keith's note: Former JSC PAO chief Ellen Engleman-Connors has a new Job - as the US Coast Guard's Deputy Director of Governmental and Public Affairs. According to this Washington Post article from 2005, she is perfect for the job: "She often joked to colleagues that she was determined to live the life of a spinster aboard her houseboat on the Potomac with her five cats -- each of which had its own life preserver." NASA Watch wishes her well. Formal USCG notice below. Continue reading Former JSC PAO Chief Ellen Engleman-Connors Has a New Job. Big Rocket - But Where Will It Go? By Keith Cowing on September 14, 2011 12:50 PM. "Late last night and early this morning NASA, Congress, the White House - and the media - were all a buzz with the sudden announcement - that there would be an "announcement". After months of subpoenas, contentious hearings, foot dragging, posturing, leaks, and press conferences, NASA, White House, and Congress had finally come to an agreement as to what the congressionally-mandated Space Launch System would look like and how much it would cost. ... Of course, what is still lacking in this whole story is exactly what NASA will do with this big rocket. Missions to asteroids, Mars etc. are often tossed out by NASA representatives - but no timeline whatosever has yet to be presented - not even a "notional" one. Nor has an overall strategy or architecture been issued or any idea what the cost would be for the things that would actually fly on these rockets." By Keith Cowing on September 14, 2011 10:45 AM. Keith's 22 Aug Note note: If you visit the website of author Charles Justiz you will see that a photo of an astronaut holding his latest book on the International Space Station is featured. As I mentioned last March, when this first appeared online, I was not aware that authors could get NASA astronauts to do on-orbit promotion and commercial "product placement" on the ISS unless there was a clear EPO tie-in, Space Act Agreement, etc. The webpage that originally featured this product endorsement was eventually pulled offline after I took note. But now the product placement photo is back. I guess the rules have changed. Keith's 14 Sep update: I filed a FOIA response with JSC. Here is their response - all they provided is some sort of blog post or document - with no overt attribution in terms of authorship. Note that the part of this document (at the end) where the author asks for a photo op in orbit is in a different font than the rest of the document and that the line spacing is odd - as if it was added after the fact. Otherwise, there is no NASA documentation provided whatsoever with regard to this request to fly a specific item in space - despite an overt request for it. Apparently nothing else is needed in order to fly a commercial product - a book weighing a pound or so - and crew time for a photo op that is now used to commercially promote that book. Just make a blog post folks and send it to JSC - and you too can fly a commercial product in space - for free. By Keith Cowing on September 14, 2011 10:15 AM. "This new heavy-lift rocket-in combination with a crew capsule already under development, increased support for the commercialization of astronaut travel to low Earth orbit, an extension of activities on the International Space Station until at least 2020, and a fresh focus on new technologies-is key to implementing the plan laid out by President Obama and Congress in the bipartisan 2010 NASA Authorization Act, which the president signed last year. The booster will be America's most powerful since the Saturn V rocket that carried Apollo astronauts to the moon and will launch humans to places no one has gone before." By Keith Cowing on September 14, 2011 9:55 AM. "Today is a big day at NASA. The next chapter of America's space exploration story is being written, right here, right now. We've selected the design for a new space exploration system that will take humans far beyond Earth. This important decision will create high-quality jobs here at home and provide the cornerstone for America's future human space exploration efforts." By Keith Cowing on September 14, 2011 7:44 AM. "U.S. Senators Kay Bailey Hutchison, Ranking Member of the Senate Commerce, Science and Transportation Committee, and Bill Nelson, Chairman of Science and Space Subcommittee, along with Charles Bolden, NASA Administrator, and other members of Congress, will hold a press conference today to discuss the NASA announcement on the future of our space program. NOTE: Press conference will be live webcast on the Senate Commerce Committee's website." "At 12 p.m. NASA will hold a background media teleconference with William Gerstenmaier, associate administrator for NASA's Human Exploration and Operations (HEO) Mission Directorate, Doug Cooke, deputy associate administrator for HEO, NASA Chief Financial Officer Beth Robinson and other senior managers." "The design for NASA's newest behemoth of a rocket harkens back to the giant workhorse liquid rockets that propelled men to the moon. But this time the destinations will be much farther and the rocket even more powerful. The Obama administration on Wednesday will unveil its much-delayed general plans for its rocket design, called the Space Launch System, which will cost about $35 billion, according to senior administration sources and information obtained by The Associated Press.."
By Keith Cowing on September 13, 2011 5:29 PM. "Russia has announced the dates of its next manned space flights, after delaying previously scheduled missions following the crash of an unmanned Soyuz rocket carrying cargo to the International Space Station. In a statement Tuesday, Russia's space agency Roskosmos said the next manned space flights are now set for November 12 and December 20. The Soyuz crash last month prompted Russia to cancel all manned flights pending an investigation into the accident." By Keith Cowing on September 13, 2011 1:18 PM. "NASA and Alliant Techsystems (ATK) managers will announce an agreement that could accelerate the availability of U.S. commercial crew transportation capabilities at 3 p.m. EDT on Tuesday, Sept. 13. The announcement will occur at the Press Site auditorium at NASA's Kennedy Space Center in Florida." "ATK and NASA announced a partnership today to work together during the development of ATK's commercial Liberty(TM) Launch System, an agreement that also supports the 2010 National Space Policy by furthering international partnerships. The team signed an unfunded Space Act Agreement (SAA) that enables NASA and the Liberty program office to provide technical interaction for the launch system during the Preliminary Design Review phase of the program." Keith's note: Curiously (or maybe not) the first 4 questions (rambling mini-lectures/history lessons) - in a row - were asked by anti-commerical space, pro-Constellation NBC reporter Jay Barbree. The questions sure sound like they were pre-coordinated with the person answering them. Oh yes, his daughter worked for ATK for many years. Alas, Jay Barbree was against commercial crew transport before he was for it. By Keith Cowing on September 13, 2011 12:58 PM. "A NASA spokesman told SpacePolicyOnline.com on July 28 via email that $3.5 billion will have been spent on JWST by the end of FY2011. In response to a statement by University of Chicago cosmologist Michael Turner on NPR's Science Friday that JWST was 75 percent complete, the NASA spokesman clarified that 75 percent of JWST "flight hardware, by weight, is either ready to be fabricated, in fabrication, in testing, or delivered." He declined to specify a cost estimate or launch date because discussions among NASA, its contractors and international partners on a "sustainable path forward...based on a realistic cost, funding, and schedule assessment" are ongoing. He said a decision would be announced as part of the FY2013 budget request." "Overall 75% of the hardware is in fabrication"
"More than three-quarters of the hardware is either complete or in production, and most of the technical obstacles have been solved." Keith's note: Hmm ... "75 percent of JWST "flight hardware, by weight, is either ready to be fabricated, in fabrication, in testing, or delivered." (according to NASA) is far different than "75% of the hardware is in fabrication" or "More than three-quarters of the hardware is either complete or in production". NASA specifies that some things have not been fabricated yet and that the 75% number refers to weight - not the number of components. JWST suppporters like AURA etc. omit the "by weight" factor and the "ready for fabrication" issue. If the spacecraft is so close to being done, then why is it still 75% of a decade away from launch? What is so hard about the remaining 25%? No one seems to want to talk about that. When I pointed out this blatant inaccuracy on Twitter. By Keith Cowing on September 13, 2011 12:46 PM. "During the webinar, presenters from NASA, the Space Telescope Science Institute, and the astronomical community will describe the current state of the observatory and update attendees on the development of its instruments and other hardware. Presenters will clarify the costs of the mission and address recent media coverage of JWST. The panel will also discuss the science enabled by JWST and the mission's planned observer program. Brief presentations will be followed by a question-and-answer session, during which attendees may submit questions to the panelists. Submit questions for the presenters in advance by e-mail or on Twitter E-Mail: jwstqa@stsci.edu Tweet: Use hashtag #jwstqa"
Keith's note: STScI sources tell me that this event has been moved to Wednesday 21 September and that JWST Program Director Rick Howard from NASA will be a participant. More to follow. "The recent release of NASA's Independent Comprehensive Review Panel report (the Casani report) on the James Webb Space Telescope (JWST) has understandably caused consternation within the community, and some of our colleagues' sound-bite quotes decrying the state of space astrophysics were quickly circulated in the press and on the Internet. As the dust has settled, it's important to step back for a moment to reflect on why we want to build such an audacious telescope." By Keith Cowing on September 13, 2011 10:13 AM. "The Conrad Foundation's Spirit of Innovation Awards (SOIA) presents high school student participants with a very broad challenge: create an innovative product that can be used to address a real-world problem with a real-world solution which can ultimately be viable in the commercial marketplace. The competition is free of charge to students in the United States and is also open at no cost to international students. These students are given a blank slate within several major categories that can include clean energy, aerospace exploration, and health and nutrition. But they're not just asked to complete a science project: they are required to conduct research to determine their creation's potential market impact and develop a full business plan." By Keith Cowing on September 12, 2011 7:31 PM. "The National Aeronautics and Space Administration (NASA) will present a status of the Commercial Crew Program strategy on Friday, September 16, 2011. The Forum will be held at the Press Site at Kennedy Space Center from 11:00 a.m. to 12:00 p.m. Attendees must pre-register online. Attendance is limited to 2 representatives per company or organization. Seating is limited and badging will be required." Keith's note: Wow. 3 Days' advanced notice if you want to attend in person. At least they will webcast it. By Keith Cowing on September 12, 2011 4:45 PM. "The letter states, "The Space Technology program is a critical investment in NASA's future, our nation's future in space, and America's technology leadership position in the world." The letter notes, "We write in support of the National Aeronautics and Space Administration (NASA) Space Technology program for fiscal year (FY) 2012. We urge you to support the program at a level of at least $535 million plus costs to cover the NASA labor transition. ... As recognized by Congress in the America COMPETES Act, our nation's economic competitiveness and high standard of living are based on decades of investment in innovation, research, and technology. Through space technology, NASA will stimulate the economy and build America's global economic competitiveness through the creation of new products and services, new businesses and industries, and highquality, sustainable jobs across NASA Centers, universities, and both small and large businesses." Webb: A No-win Scenario in Astrophysics? By Keith Cowing on September 12, 2011 3:20 PM. "Speaking at a workshop on suborbital research held last Wednesday at NASA Goddard, Webster Cash, an astronomer at the University of Colorado, said there was growing skepticism in the astronomy community that the top-priority large mission from the 2010 report, the Wide-Field Infrared Survey Telescope (WFIRST), would even be started. "It's bleak out there. Space science has effectively ground to a halt" in large part because of the costs of Webb, Cash warned. Killing Webb would cause major problems for astronomers since it would deprive them of an instrument they have been counting on for years to address some of the major questions in the field, but continued funding could leave them with nothing but Webb. "We're facing a no-win scenario here in astrophysics," he said." By Keith Cowing on September 12, 2011 12:59 PM. "Photo taken by Mars Rover Opportunity of itself on 11 Sep 2011 showing piece of metal taken from the Twin Towers - with an American flag on it - after 7 years on Mars. NOTE: Work Continues on Crater Rim - sols 2703-2709, September 01-07, 2011: Opportunity is moving to other in-situ (contact) targets of interest around the region, called Cape York on the rim of Endeavour crater." By Keith Cowing on September 12, 2011 12:57 PM. "The Division for Planetary Sciences of the American Astronomical Society, the world's largest professional organization of planetary scientists, is following with close attention the on-going discussions within Congress, the Office of Management and Budget, and NASA over future funding for science, and for the James Webb Space Telescope. As budgetary priorities are set, it is important to consider the scientific bounty reaped by planetary missions in the last decade." By Keith Cowing on September 12, 2011 12:52 PM. "Astronomers using ESO's world-leading exoplanet hunter HARPS have today announced a rich haul of more than 50 new exoplanets, including 16 super-Earths, one of which orbits at the edge of the habitable zone of its star. By studying the properties of all the HARPS planets found so far, the team has found that about 40% of stars similar to the Sun have at least one planet lighter than Saturn." By Keith Cowing on September 12, 2011 12:50 PM. "Space Exploration Technologies (SpaceX) Corp. acknowledged that its Falcon 9 rocket experienced an engine anomaly during its December launch of the company's reusable Dragon space capsule. "I'd call it an oxidizer-rich shutdown," former NASA astronaut Ken Bowersox, SpaceX's vice president of astronaut safety and mission assurance, told Space News in a Sept. 9 interview. "So because of that, when you get that mixture change happening, the temperatures can go up higher than you want inside the gas generator." By Keith Cowing on September 11, 2011 6:54 PM. 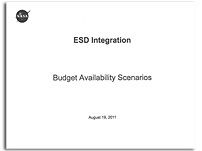 This document covers four budgetary and Congressional scenarios whereby NASA would build the Space Launch System (SLS). "Early cost estimates for the heavy-lift Space Launch System (SLS) that Congress has ordered NASA to build indicate the agency believes it can test an unmanned version of the "core" vehicle selected by Administrator Charles Bolden for about $18 billion by the end of 2017." By Keith Cowing on September 10, 2011 12:05 AM. Keith's note: When I first moved to Washington to work for NASA I lived in River House III in Pentagon City. The view outside my window was pretty much the Pentagon and its parking lot. I was quite the runner back then and used to run around the Pentagon a lot. Everyone did. Security was nothing at all like it is now. Indeed, there really wasn't any. One of my standard routes was to run on the west side of the Pentagon between the old heliport and the Pentagon itself. The sidewalk I ran on was probably 5 feet from the building. No fences. (map) Again, this was the late 1980s. Continue reading Red Begonias, Blue Skies, and 9-11. By Keith Cowing on September 10, 2011 12:00 AM. "As [Frank Culbertson] listened to mission control, struggling to make sense of the tragedy unfolding hundreds of miles below, he looked up at the map of the world flashing on the computer screen in front of him. In a few minutes, he would be directly over New York. He quickly left the radio, grabbed a video camera and raced to the cabin window that would have the best view of the city." "A NASA astronaut aboard the International Space Station was able to photograph the devastation of that terrible day, which could be seen even as far away as the vantage point of low Earth orbit. The photos of Frank Culbertson, the only American off-planet at the time, are an historic reminder that this small dot in the universe still has big challenges to overcome." "All NASA employees are invited to view a special program with Administrator Charlie Bolden and Deputy Administrator Lori Garver to commemorate the 10th anniversary of the September 11, 2001, attacks on America. The program will be held on Tuesday, September 13, at NASA Headquarters at 6 AM PDT and rebroadcast on NASA Television Channels 9 and 10 and at http://www.nasa.gov/ntv at 9 AM PDT." "An aluminum cuff serving as a cable shield on each of the rock abrasion tools on Mars was made from aluminum recovered from the destroyed World Trade Center towers. The metal bears the image of an American flag and fills a renewed purpose as part of solar system exploration." By Keith Cowing on September 9, 2011 11:01 PM. "The internecine warfare among NASA scientists over the fate of the James Webb Space Telescope (JWST) has begun. The rising financial burden of the JWST -- now projected to cost $8.7 billion to launch in 2018 and then operate for five years -- has increasingly prompted the question: whose responsibility is it to bail out the telescope? Planetary scientists among others are now saying they want little part of the rescue operation, lest their own grand ideas be derailed." "NASA says the James Webb Space Telescope would be powerful enough to see the first stars and galaxies form on the edge of the observable universe. It could also study the mechanics of planet formation in unprecedented detail, and investigate the potential for life in alien planetary systems. But the debate is starting to turn from those lofty scientific goals to issues of dollars and cents. Is this the beginning of the end for the JWST bailout, or will NASA stick to its view that Hubble's heir is too big to fail? Feel free to weigh in with your comments below." By Keith Cowing on September 9, 2011 5:41 PM. "Construction on the first space-bound Orion Multi-Purpose Crew Module has begunwith the first weld at the Michoud Assembly Facility on Sept. 9. 2011. This capsule will be used during Orion's first test flight in space." By Keith Cowing on September 9, 2011 5:11 PM. "One of our most important conduits to NASA leadership is through the NAC and the HPS provides the necessary voice for our community. I hope that the HPS can give due and timely consideration to this issue. If there is anything the SPD committee can do to help, please let us know. FYI, the SPD position has been made known to the AAS, and while we accept the AAS support of JWST, we have urged the Society to " balance the various concerns of each of its constituents and to work towards a solution that does not promote one division's interests at the expense of another's"." By Keith Cowing on September 9, 2011 11:05 AM. "Rather than announce these results and move forward with development, the administration's budget office has kept the independent cost report under wraps. Instead, a wildly inflated set of NASA cost numbers was invented, based on an imaginary "acceleration" of SLS development. Under these contrived numbers, which were leaked in yesterday's Wall Street Journal, development costs were forecast to increase to $57 billion - nearly double the amount that NASA and Booz Allen Hamilton agreed would be needed in the independent cost assessment." Reader note: "the "inflated" numbers these Senators are now complaining about in their release are THEIR numbers from the NASA Authorization Act - if you extended it through 2017 with inflation. It seems these Senators don't even recognize their own numbers." By Keith Cowing on September 8, 2011 1:55 PM. "NASA has canceled the previously scheduled news conference on Friday, Sept. 9, about the award of the organization that will manage the portion of the International Space Station operated as a U.S. national laboratory. The briefing was canceled because the launch of the agency's GRAIL mission has been postponed until Friday morning. NASA will offer in-person media interview opportunities at 10 a.m. EDT on Friday at NASA Kennedy Space Center's Press Site in Florida"
Keith's Note: This is odd. The only reason why an ISS project is to be discussed with the media is at a SMD launch. When the launch is scrubbed, they decide not to allow remote participation (as had been the original plan) - just chit chat with media present to cover a moon mission launch. If the ISS National Laboratory folks really wanted to interact with the media then they'd set up their own event independent of someone else's launch. Then again Mark Uhran (departing NASA in a few weeks anyway) et al simply do not care about interacting with the public or the media about the ISS National Laboratory. By Keith Cowing on September 8, 2011 1:40 PM. "Virgin Galactic is pleased to announce the appointment of former NASA, White House and Department of Energy official Steven J. Isakowitz as Executive Vice President and Chief Technology Officer. In his role, Isakowitz will have leadership responsibilities across a range of areas as the company prepares to begin commercial operation of its space vehicles. Specifically, he will lead technical oversight of key programs, development and management of new programs, government and industry business development, government affairs, advanced technologies, and strategic analysis." By Keith Cowing on September 8, 2011 12:05 PM. CosmoCam is an internet interactive video camera system designed for use onboard satellites and stratospheric balloon missions. Cosmocam is being offered as a tool for both inflight monitoring of satellite structure deployment as well as the enlightenment of students and others who are outside the professional scientific community. By Keith Cowing on September 8, 2011 12:06 AM. "With support to explore outer space waning in Congress, Pratt & Whitney's president said the company is considering a sale of its Rocketdynedivision. David Hess, president of East Hartford-based Pratt & Whitney, told reporters at Reuters annual Aerospace and Defense Summit, that Pratt had fielded interest in the California rocket-makingdivision. Later, Hess clarified that the sale was not imminent, but was a possible option, matching comments by a local analyst that does not expect Pratt to let the company go at a bargainprice." By Keith Cowing on September 7, 2011 4:08 PM. "Sir Richard Branson's Virgin Galactic, LLC, the world's first commercial spaceline, and sister aerospace production company, The Spaceship Company (TSC), in cooperation with the New Mexico Spaceport Authority, today announced that they will host their first-ever "Industry Day" on Oct. 18., 2011 at Spaceport America near Las Cruces, N.M. The inaugural event marks a major milestone in the advent of commercial space travel. While the event is designed to educate potential suppliers on what sorts of goods and services will be needed by both companies, the underlying message is that widespread, commercial space travel will soon be a reality." By Keith Cowing on September 7, 2011 12:18 PM. "NASA should take steps to ensure that it maintains a highly trained astronaut corps to meet International Space Station (ISS) crew requirements while accounting for unexpected attrition or demands of other missions, says a new report by the National Research Council. NASA's current plans for staffing the U.S. astronaut corps do not provide sufficient flexibility to reliably meet projected ISS mission needs." By Keith Cowing on September 7, 2011 11:03 AM. "A former government space scientist pleaded guilty Wednesday to one count of attempted espionage for trying to sell classified information to an undercover FBI agent posing as an Israeli spy. Appearing in court in a prison jumpsuit, Nozette said he understood the charge to which he was pleading. He could have been sentenced to death had he been convicted of all four counts of attempted espionage that he faced. Just before his arrest, Nozette told an undercover FBI agent in the sting operation that the secrets he was passing to Israel had cost the U.S. government anywhere from $200 million to almost a billion dollars to develop." By Keith Cowing on September 6, 2011 11:53 PM. "Republican Sen. Richard Shelby has been one of Barack Obama's most persistent critics, accusing the president of putting the country on a road to financial ruin with deficits as far as the eye can see. But his demands to slash government programs tend to stop at the Alabama state line. Here in his home state, Shelby has been pressuring the Obama administration to spend billions to build what could become the world's biggest rocket at NASA's Marshall Space Flight Center in Huntsville -- a government project that would affect thousands of jobs, benefit a network of powerful industry interests and fill a major void at the agency after the collapse of the Bush-era Constellation initiative and the end of the space shuttle program in July." By Keith Cowing on September 6, 2011 10:00 PM. "An Aug. 19 budget analysis prepared by NASA managers, a copy of which was obtained by The Wall Street Journal, illustrates the sticker shock associated with NASA's drive to push U.S. manned flights beyond the orbiting international space station. ... Based on priorities already adopted by Congress--then adjusting for projected inflation and accelerated development efforts--the document indicates it could cost as much as $57 billion to deploy and use the proposed systems through 2025. Upgrading launch facilities and building additional spacecraft to allow astronauts to land on the moon or an asteroid, the document indicates, could boost the total to $62.5 billion None of the scenarios envision manned flight on the new rocket before the end of 2017." Keith's Note: Numbers like this are not supposed to get out - so the White House, NASA, and everyone else in that closed loop can't be happy about this. Now that Congress has to confront the public reality of what NASA says their SLS-based architecture will cost, food fights are certain to follow. This is just Constellation on Steroids - without all that back to the Moon stuff. I wonder what the new (higher) number would be if the costs of actually developing payloads and then supporting them across a serious, multi-year program of exploration were included? I would imagine that the end costs would not be much different than Constellation (except higher, of course) - and that the money to support such a program would be as equally an unrealistic fantasy as were the promised funds for Constellation. I wonder what it would cost if NASA just posted an exploration plan and had the private sector bid on implementing it? Do we really need to build a new mega-rocket when existing or evolvable commercial rockets could launch smaller chunks in cheaper launch vehicles? Keith's additional Note: WSJ has an odd for-pay firewall. In order to read this article, go to Google and paste "White House Experiences Sticker Shock Over NASA's Plans" into the search window. You can read the article but the link that is generated won't work for anyone else. By Keith Cowing on September 6, 2011 4:08 PM. Keith's Note: NASA Chief Technologist Bobby Braun will be leaving NASA soon. He has told his staff and others that he plans to depart. Braun fought hard to bring new technology into the way that NASA does things but was thwarted by the lack of a meaningful budget with which to accomplish this task. He worked very hard at his job - and at trying to make this transformation at NASA - and deserves a round of applause for trying. "Joseph Parrish, the deputy chief technologist, will serve as acting NASA chief technologist. Parrish joined the Office of the Chief Technologist (OCT) in January from the Jet Propulsion Laboratory (JPL) in Pasadena, Calif., where he was responsible for technology assessment and mission architecture planning for future robotic missions to Mars." "The past few years have been a challenging time for the Agency as we have dealt with major transition in the human spaceflight enterprise, budget uncertainty, a wide range of collaboration opportunities, new partners, reduction of our institutional footprint, and initiatives designed to help our talented workforce retool and reinvent itself for success in the 21st century. For NASA, I believe that these changes have just begun. While such change is difficult, I believe that the more desperately an organization tries to hold on to today, the more likely it is that this same organization will not have a tomorrow. Please remember that the future starts today." By Keith Cowing on September 6, 2011 12:32 PM. "NASA's Lunar Reconnaissance Orbiter (LRO) captured the sharpest images ever taken from space of the Apollo 12, 14 and 17 landing sites. Images show the twists and turns of the paths made when the astronauts explored the lunar surface. 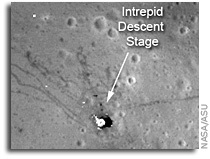 At the Apollo 17 site, the tracks laid down by the lunar rover are clearly visible, along with the last foot trails left on the moon. The images also show where the astronauts placed some of the scientific instruments that provided the first insight into the moon's environment and interior." "Apollo 17 Commander Eugene Cernan wrote in an email to The Associated Press that the photo gives him a chance to revisit those days, "this time with a little nostalgia and disappointment. Nostalgia because those special days are fondly etched in my memory and disappointment because it looks like now we will not be going back within the days I have left on this planet." By Keith Cowing on September 6, 2011 9:00 AM. "He awarded the shuttles using a point system that gave no points for connection to space despite its inclusion in the law. But gave 20 percent of all points to international access -- meaning how many international tourists could see the shuttle. That's nowhere in the law. "He essentially said, 'I care more about foreign tourists than I do about the community who built the shuttle,'" said Rep. Olsen. Even though we specifically asked why, NASA didn't answer. And on the one chance we had to ask Bolden about it, he pushed us back to Space Center Houston. "Go back to the folks at home and ask them what they got from their debrief," said Bolden. They told us they didn't get answers either. In fact, Space Center Houston was never asked how many international visitors they get and two of the winning sites -- New York and California -- don't even record where visitors are from." Does SMD Have a Bias Against Venus? By Keith Cowing on September 3, 2011 10:03 AM. "Venus would seem to be a tempting destination for planetary probes: conveniently close, and an extreme laboratory for atmospheric processes familiar on Earth. So why won't NASA send a mission there? That was the frustrated question coming from scientists at the annual meeting of NASA's Venus Exploration Analysis Group (VEXAG) near Washington, D.C., on August 30-31. They perceive an agency bias against Venus, a planet that hasn't seen a U.S. mission since the Magellan probe radar-mapped its shrouded surface in the early 1990s, and which won't see one any time soon, after NASA this year rejected a bumper crop of Venus proposals." By Keith Cowing on September 2, 2011 6:25 PM. "There has been a lot in the news recently about the International Space Station (ISS) and our astronauts aboard this orbiting outpost, and I wanted to take a moment to give you an update. Last week, our Russian partners lost a Progress cargo vehicle during launch. The cargo lost, although important, can be replaced. All of us are focused on determining the cause of the Soyuz booster anomaly so we can resolve it and get back to flying crew safely to the ISS. Our first priority is to keep everyone safe and the station crewed. Keeping the crew on-board allows us to continue the scientific research mission planned for the ISS and to help make the breakthroughs that will make our missions to farther destinations possible." By Keith Cowing on September 2, 2011 4:21 PM. "An unmanned spaceship funded by Internet billionaire Jeff Bezos suffered a major failure during a recent test flight, according to U.S. government and industry officials, highlighting the dramatic risks of private space ventures. The vertical takeoff and landing spacecraft, developed by closely held Blue Origin LLC, was on a suborbital flight from the company's West Texas spaceport last week, these officials said, when ground personnel lost contact and control of the vehicle. The exact nature and cause of the failure were unclear, but remnants of the spacecraft could provide clues for investigators. Parts of the vehicle were recovered on the ground and are now being analyzed by company experts, according to government and industry officials." "Successful Short Hop, Set Back, and Next Vehicle - Three months ago, we successfully flew our second test vehicle in a short hop mission, and then last week we lost the vehicle during a developmental test at Mach 1.2 and an altitude of 45,000 feet. A flight instability drove an angle of attack that triggered our range safety system to terminate thrust on the vehicle. Not the outcome any of us wanted, but we're signed up for this to be hard, and the Blue Origin team is doing an outstanding job. We're already working on our next development vehicle." 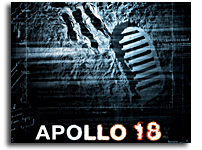 Apollo 18 Review: Good Fun. Go See It. By Keith Cowing on September 2, 2011 4:16 PM. "I just had a chance to see the new film "Apollo 18". As I am certain is the case with all of my fellow space cadets, I felt some intellectual trepidation in advance of seeing this film. How anyone could launch a Saturn V without the folks in Cocoa Beach noticing on Christmas day 1974 being one of the more improbable things. But you get past those nagging little facts at the very onset of the film. Through a deft use of real Apollo era footage and re-created footage (they keep telling you it is real), the film really manages to suspend lingering disbelief rather quickly. Often times its like watching the old grainy 70s era NASA features that NASA TV runs after midnight." By Keith Cowing on September 2, 2011 10:28 AM. By Keith Cowing on September 2, 2011 8:33 AM. "Florida's senators share the frustration. So do Texas Republican Sen. Kay Bailey Hutchison and more than a few House representatives. They've all pressed NASA and the White House this year to get started on SLS. But the Shelby/Sessions letter went further and accused NASA of wrongly shifting some $341 million to Kennedy Space Center in Florida for improvements that they say should go to SLS. Those improvements at Kennedy are only "tangentially" related to the heavy-lift rocket project, according to the Alabama senators. Florida's senators sent their own letter to the White House 11 days later on Aug. 26 saying "there appears to be a misunderstanding." Democrat Sen. Bill Nelson and Republican Sen. Marco Rubio say they wrote to "clarify the intent of the law." Spending for improvements at Kennedy was always part of SLS, the Florida senators said." By Keith Cowing on September 1, 2011 3:10 PM. Keith's note: We are very pleased today to release the first issue of Space Quarterly Magazine with both the U.S. and Canadian editions now available. We are also pleased to announce that the first issue is available for FREE as a digital PDF download. We sincerely hope you'll like our first issue and consider subscribing to future editions. We are also launching the SpaceRef Forum in the next couple of days. The forum provides subscribers an opportunity to view and comment on the stories in the magazine as well other topics. Non-subscribers will also be able to participate in the forum with the exception of the Space Quarterly forum. 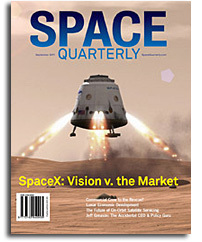 The next issue of Space Quarterly is already being worked on for a December release. Keith's update: NASA JSC is currently blocking access to the free downloads (both of them) of Space Quarterly. The reason given in the red banner warning is: "The WebProxy category none is FILTERED". JSC fixed things. By Keith Cowing on September 1, 2011 11:52 AM. "Although NASA's meteoroid and orbital debris programs have responsibly used their resources, the agency's management structure has not kept pace with increasing hazards posed by abandoned equipment, spent rocket bodies, and other debris orbiting the Earth, says a new report by the National Research Council. NASA should develop a formal strategic plan to better allocate resources devoted to the management of orbital debris. In addition, removal of debris from the space environment or other actions to mitigate risks may be necessary." By Keith Cowing on September 1, 2011 10:22 AM. "NASA Goddard Space Flight Center (GSFC) Innovative Partnership Program (IPP) and Earth Science Division will be hosting a Commercial Suborbital Vehicles Workshop at the GSFC on September 7, 2011. The purpose of the proposed workshop is to provide information for Earth and Space scientists about these vehicles capabilities, and to examine and discuss science topics that might be conducted from these platforms." Keith's 31 Aug note: On 14 August I sent several requests to NASA GSFC PAO asking for information on this meeting including media access. A representative replied "The detailed agenda is still being worked out but it is our intent to invite reporters to the event. The only factor I know of that might prevent reporters from attending the full meeting would be if some part of the presentation or discussion involves information that is of a sensitive/proprietary nature. I expect a media advisory will be issued sometime around the end of this month with full details of the agenda and how media can register." It has been 2 weeks and I have not received any further information on this event. The event is less than a week away with a long weekend in between. For those people who have not read about this on NASA Watch, this lack of advance notice from NASA is going to decrease the number of people in attendance. I know the reps from these companies - and I have heard them all make their pitches before - and I would be astonished if one company was going to talk about their sensitive/proprietary stuff in front of their competitors. No mention of this meeting is made on the GSFC IPP website, the NASA HQ OCT website, the NASA SMD website, or NASA.gov. Given the recent Progress failure and the increased focus on commercial alternatives for ISS access I simply cannot see how NASA can afford to not make this as open as possible given that COTS and WFF launch facilities are on the agenda. Keith's 1 Sep update: GSFC PAO finally tells me this morning that a media advisory will be out later today. Hmm, let's see - NASA is going to issue the first public mention of this event on the Thursday before Labor Day weekend - and the event is less than a week later. Talk about a perfect time to quietly announce something that no one will notice - and that many people will skip due to the cost of last minute airline tickets. It is blatantly obvious that GSFC and SMD are not interested in outside scrutiny with regard to this event. Keith's second 1 Sep update: NASA GSFC PAO finally got around to issuing a media advisory "Media Invited to Commercial Suborbital Vehicle Workshop". But unless I missed something, they never issued a press release or announcement inviting scientists, engineers, and commercial representatives to this meeting - which is the whole point of this event to begin with. All that was issued was an email sent to a small group of individuals several weeks ago - not to the suborbital community as a whole. There is still no mention of this event on any NASA websites. How are the people involved in this area of research supposed to know about this meeting? No public information has been provided so as to allow these people to register and attend. Baffling. By Keith Cowing on September 1, 2011 12:00 AM. "NASA spokesman Michael Braukas told me that the roadmap was not yet available for public release, but space officials agreed that an initial version of the document would be issued sometime in the next few weeks. Based on viewgraph presentations prepared in advance of this week's meeting in Kyoto, both paths would eventually get to the moon as well as asteroids. It's more a question of which destination is targeted first." Keith's note: "Not yet available". More NASA PAO deflection and answer dodging because no one at the agency wants to take a stance - about anything. This is getting to be pathetic. NASA cannot say what it means - or mean what it says anymore. By the way, has anyone heard Charlie Bolden say anything about this topic - or anything else for that matter - for several months - other than a bland statement in Huntsville the other night (which NASA has yet to post online)NASA leadership, wherefore art thou? Sounds like Charlie is in chronic bunker mode to me. Oddly enough, while NASA is shy about talking about anything remotely bold these days, DARPA (of all places) is enlightened enough to be looking ahead to interstellar travel - and what technology would be required - and how this could have applications on Earth. Sounds like NASA's job - you know, "spinoffs", etc. Of course, NASA Headquarters is trying to stomp this out behind the scenes. Why is Charlie Bolden so afraid to stand up and speak out? Is the White House telling him to be silent? Does he not care? Or does he simply not 'get it'? We've already wasted 10% of the 21st century trying to figure out what we are going to do in space. NASA is in wander mode - absent a "leader". Speaking as just one taxpayer, I want more - much more - from my nation's space agency - than this diffuse, 'we'll get back to you - maybe', space "policy". As the Gen Y kids say , "FAIL"